Real estate investing can take on many different forms, but if your strategy involves renovating houses, then this blog post is for you. Before we get down to the nitty-gritty of putting together your own construction crew, let me say one thing: if you’re going to renovate houses, make sure you’re close by. In other words, don’t buy trashy houses out-of-state, and put all your trust in a general contractor to get the job done right and within budget. You’d have better success playing Russian roulette. I don’t care if the general contractor is your brother, uncle, dad or the guy Home Advisor says is great. Don’t do it! I’ll even go so far to say this: don’t hire a general contractor at all. In most cases, you’re much better off being your own general contractor, and hiring your own guys. This way you have complete control over the day-to-day operation and making sure things are happening according to budget. For state laws specific to general contractors, click here. How Big Should My Crew Be? Real estate investing is not a one-size-fits-all kind of thing. The dynamics of your construction crew are going to vary depending on what you’re doing. Buying a package deal of 10 houses at once is going to have different labor needs than renovating a triplex or a single-family home. To keep things relatively simple, though, let’s assume you’re going to start with one single-family home – which I think would be wise. With this being said, start with two people. Some may disagree with me here, but, in my experience, more than two guys leads to a circus. I realize that more guys may equal getting to the finish line sooner, but start with two, and scale up from there. What Skills Should My Crew Have? This list is by no means exhaustive. You also want to make sure they are comfortable using power tools and other equipment needed for the job. Pay obviously depends on location. Where I buy properties near Springfield, MO, I start guys at $12/hr. I also provides tools. In the construction business, everyone claims to be an expert. Despite how qualified someone may seem after a 5 minute conversation, discipline yourself to make everyone fill out an application. The application should include all their personal information along with work history and several verifiable past employers. Make sure they also have an active driver’s license and reliable transportation. How well you screen may determine whether or not you succeed in this business. Sites like Backgroundreport.com & goodhire.com can help you with pre-employment screening. I look for patterns. We all make mistakes in life, but if your screening process reveals that an applicant has a pattern of being in trouble with the law & is notorious for getting fired, what kind of employee do you think they will make? “In determining whether the person providing service is an employee or an independent contractor, all information that provides evidence of the degree of control and independence must be considered. Some business owners treat their workers like employees but pay them as 1099 contractors to avoid the hassle and extra cost of dealing with payroll taxes, however, this can get you in trouble with the IRS. Having guys show up to the job drunk or high could put you out of business. It also creates a very dangerous work environment for everyone. Sign up with a drug testing service, and have your crew randomly tested for drugs and alcohol. Check out this link for state-by-state drug testing laws. It’s important, and possibly required by law, to have your employees sign some kind of a drug testing consent form. These forms can be found online, but be sure the form you use complies with the laws of your state. It may be best to consult an attorney. 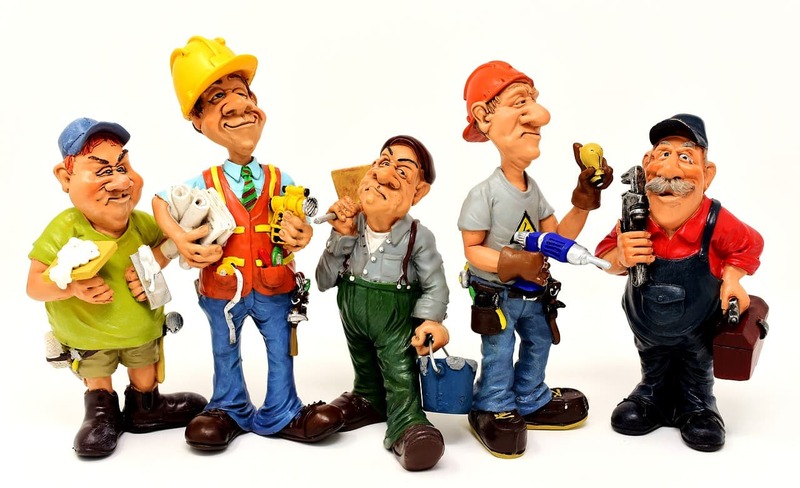 Now that I’ve covered a bit about building your own construction crew, let’s discuss subcontractors. The four main subs you’ll need when renovating houses include a roofer, electrician, plumber & an HVAC technician. If renovating properties is part of your real estate investment strategy, I recommend running your own construction crew instead of hiring a general contractor. This will save you money and give you maximum control to help ensure your renovations stay on schedule and on budget.